Topics: Initiation Ceremony, and Typepad. It is hosted by Six Apart Ltd California, using Apache web server. It has 4 nameservers, including ns4.nameresolve.com, ns1.nameresolve.com, and ns2.nameresolve.com. 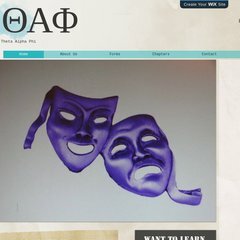 Thetaalphaphi.org's IP address is 204.9.177.195. PING thetaalphaphi.typepad.com (204.9.177.195) 56(84) bytes of data.